WHY GO? Agave Grill describes itself as a “little hole in the wall”, which just lends to this authentic Mexican restaurant’s charm. With extremely high-quality food, Mexico is at the heart of most of its impeccable dishes, Agave Grill is one of the most in-demand restaurants on the Cayman scene with authenticity at its core. For those who aren’t meat-lovers, Agave offers vegetarian alternatives, but don’t leave without trying the inside beef rounds, marinated with ‘love’ for 24 hours with chilies, then Mesquite “hot” smoked and braised in the oven for 4 hours. We can’t get enough. 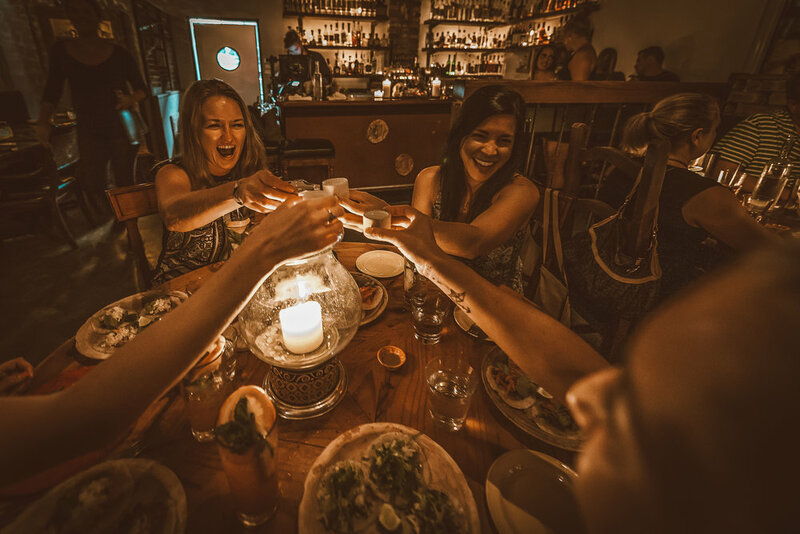 Originality and authenticity intertwine at Agave Grill, in its dim-lit setting and intricately & stylishly designed interior, you’ll find rare tequilas, mezcals and ornaments around every corner - a nod to its Mexican roots. Behind the glowing bar - a mixologist serving up some of the smoothest Mezcal cocktails on island. A great spot for a satisfying meal and drinks to start off the weekend right.